Absolutely! We believe that everyone can do CrossFit; it’s just a matter of determining your abilities and working with any limitations. Do I need special clothes or shoes to do CrossFit? Absolutely not! Shorts and tennis shoes are recommended but not required. You may not have the same range of motion in a uniform and scrubs or combat boots but we’ll take you as you are. 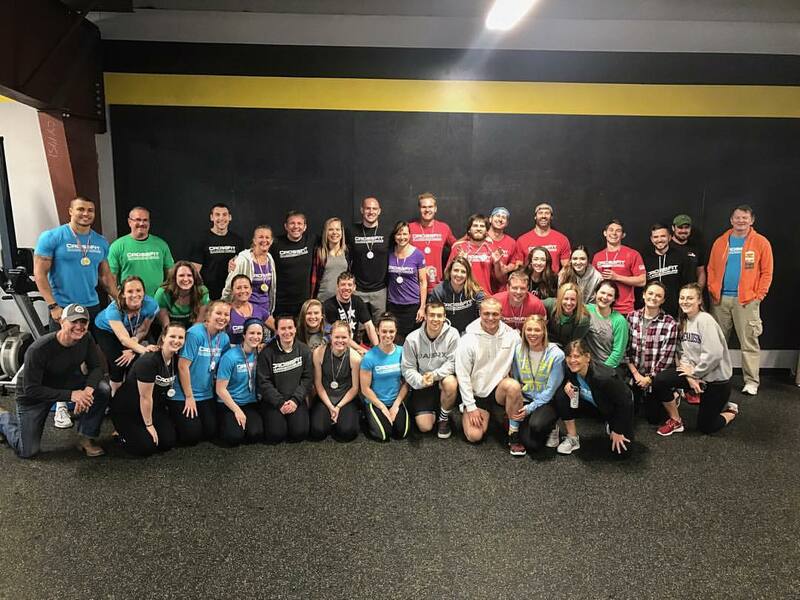 Are the people at CrossFit Harrisonburg cool? Will I enjoy working out with them and maybe getting to know them? Absolutely without a doubt! We pride ourselves on the community we’ve grown and how close our members are. We truly care about each other and want all of our athletes to do their best and succeed in their endeavors. Do I need to be fit before I start CrossFit? Absolutely not! We want you to start today, right where you are. Let us help you with your fitness and wellness journey. We have excellent coaches to help you along the way. Do I need to be “in shape” before I start CrossFit? Nope. We want you to come as you are. Let us help you build your strengths and conquer your weaknesses. Our premier fitness programs empower the novice and challenge the veteran.